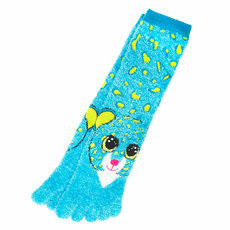 New Claire’s exclusive Beanie Boo cold weather gear! Claire’s have now released a new range of cold weather gear ready for the Winter! The new range are modelled after various Beanie Boos that have been previously released. There three hooded scarves. One that is modelled after Glamour the leopard, another like Tabitha the cat and one like Tasha the leopard. There are also earmuffs modelled after Oscar the owl and an Izabella the husky hat and mittens set. It looks like these winter accessories are exclusively available in the USA.